Lake Effect's Audrey Nowakowski with Janine Sijan Rozina and Tim Seymour of the new "Sijan" documentary. His sister, Janine Sijan Rozina, has been working for decades to preserve and honor her brother’s legacy. Her work has included a novel, the relocation of a Phantom Jet in his honor, and her latest effort — a documentary about Lance that's premiering Tuesday evening at the Milwaukee Film Festival. Sijan aims to share the full story of Sijan’s life and his legacy. It's written, directed and produced by Sijan Rozina and fellow Milwaukee native Tim Seymour. "This for me in particular became very clear to me about a decade ago, that I needed to be very involved and instrumental in giving the message and the voice to Lance’s full life," says Sijan Rozina. Co-director Tim Seymour recalls that when Sijan Rozina approached him about a project to document Lance's life on film, they had no narrative direction or long-term plan. Instead, they both felt it was simply important to start collecting material. "We were very blessed to have a wealth of archival resources and people who are still with us who survived, who were [with Sijan]. And they were more than willing to come and talk to us and we began the process of collecting," says Seymour. "And from there it began waxing and waning in its form." While Sijan's story is well known in the military, the directors hope that this documentary will help tell the full story to all audiences. Sijan Rozina says that instead of emphasizing the last three months of her brother's life, it was important to tell the story of how Lance grew up. "That's where our creativity started to take flight," she says. Filled with home videos, voice recordings and testimonials from people who knew Sijan, the film tells the story of "a regular kid that just made some really incredibly powerful decisions and prepared himself for something he was not aware was coming," explains Sijan Rozina. The film shows not just Sijan the war hero but Sijan the athlete, the friend, the brother, the son, the academic, the artist. 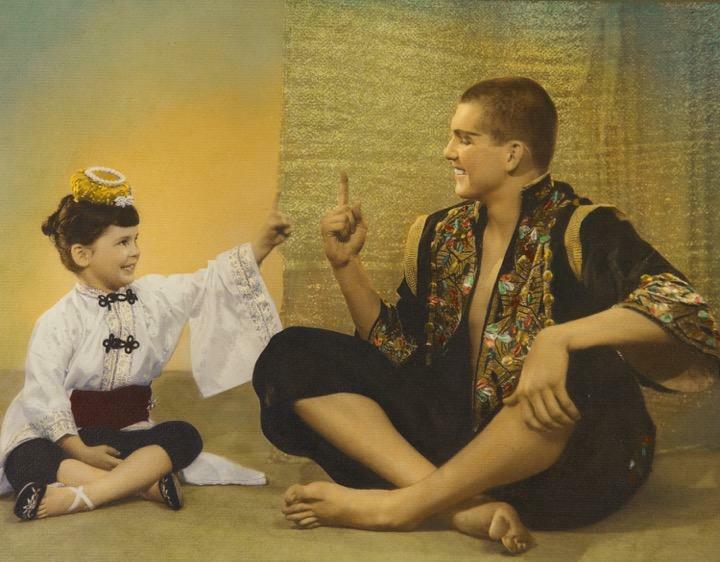 Lance Sijan as the King in a Bay View High School production of "The King and I," with his sister Janine as a princess in the play. "The last three months of his life have been recognized through the military and why he received the Medal of Honor. However, this is a much greater brush stroke that is really relevant to any individual that is looking to reach their greatest potential," says Sijan Rozina. Seymour notes that growing up in Bay View he knew of Sijan mainly through a plaque in Bay View High School. The experience of shaping the narrative of the documentary truly gave him and inside look at what Sijan was thinking and how he experienced life. "[He] was amazing in how he stuck to his principles and never quit," says Seymour. "He was able to find the internal wherewithal to do what was needed, make a hard choice, and succeed." “Sijan - A Tone Poem For String Orchestra,” composed by Ken Miller and recorded by The Brno Philharmonic Orchestra, Czech Republic under conductor Mikel Toms. If you live in Milwaukee, you may have driven past Sijan Field on Kinnickinick Avenue in Bay View or the F4C Phantom Jet near the airport on College Avenue. Both of these landmarks are dedicated to Milwaukee native Lance Sijan. 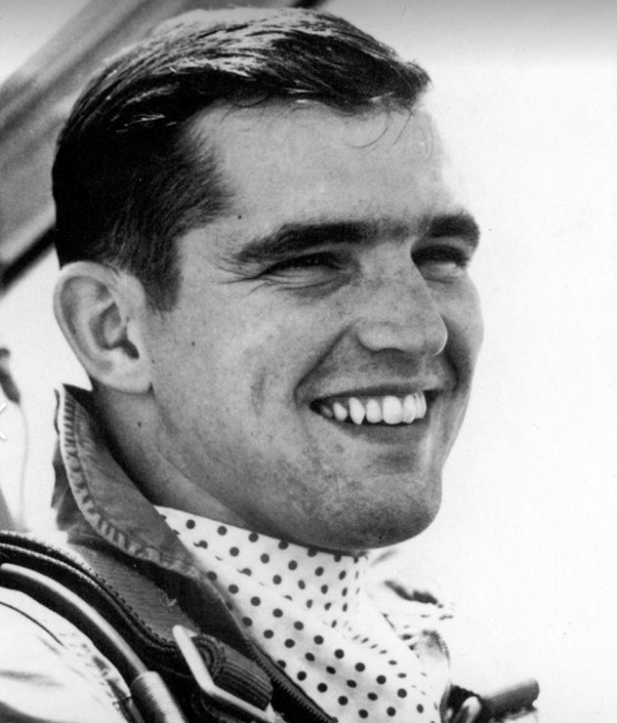 He served in the Air Force during the Vietnam War and received a Medal of Honor posthumously. David Millar's professional cycling career was marked both by big victories and a suspension for his use of performance-enhancing drugs. In his last year as a pro, he sought one more shot at riding the Tour de France. Scottish filmmaker Finlay Pretsell was there to document it all. His film however, entitled Time Trial, is not a bio-picture. Instead, it's an immersive look at cycling with extensive footage shot from inside the peloton during races.